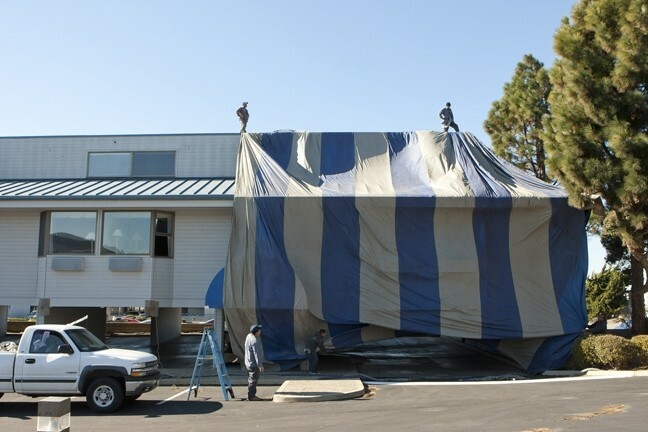 TARP-E DIEM: A team of six workers from Coastal Fumigation, a Santa Maria-based pest-control company, worked to tent and fumigate the Blue Sail Inn in Morro Bay on Dec. 4. It’s early morning in Morro Bay. The seagulls are squawking, the breeze is blowing, and an exceptionally brave man named Luis is carrying a massive, 200-pound tarp. On his shoulder. Up a precarious ladder. 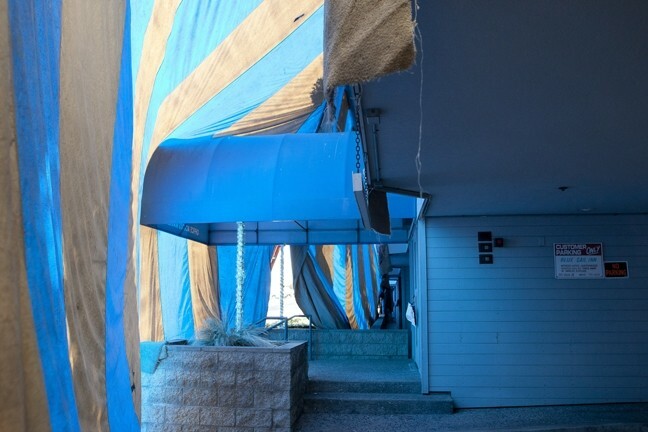 In just a few hours, the entire three-story building—part of Morro Bay’s Blue Sail Inn—will be swathed in blue-and-gray-striped tarps, a feat accomplished by only six men. Roughly 2,500 metal clips will hold the tarps together. Exactly 131.4 pounds of termite-killing liquid, which will take the form of a gas when released, will be piped into the building. The entire process will take about four hours. Directing this intricate operation is Rod Rodriguez, owner of Santa Maria-based Coastal Fumigation. Rodriguez paces around the building, inspecting tarp seams, shouting out tips, and cracking jokes in both English and Spanish. So goes the pest-control industry in San Luis Obispo County, where people perform dangerous, unpleasant tasks with astonishing frequency, all for the sake of wiping out tiny pests, some of which aren’t even harmful. FAMILY KNOWS PEST: John “Colorado” Vergeldt and his wife, Patty, are co-owners of SLO Pest and Termite, an independent pest-control business that they operate out of their Santa Margarita home. Think of every stereotype you’ve ever heard about pest-control workers. Maybe you’ve heard that they’re dumb, reckless dudes who spray poison. They’ll fumigate your house, even if it doesn’t need it. They’re cavalier about the effects of fumigants. They shelter criminals, a la Breaking Bad. They don’t like their jobs. Or maybe you’ve never heard any stereotypes at all. Pest-control professionals have heard it all, and they say most of it, unsurprisingly, is crap. All said, though their services are in high demand and most people’s lives are touched by pest-control in one way or another, the industry remains rather mysterious. Colorado and his wife, Patty, are the only employees of SLO Pest and Termite, the company they started back in 2005. Colorado had worked for Terminex, the Central Coast’s largest pest-control company, for almost 10 years, then decided he wanted to be his own boss. He said he loves his work, loves his independence, and—though he and Patty were scared at first—their company has been consistently profitable since starting from scratch. Colorado has been in the pest-control business for almost 20 years, and since his company subcontracts out on some of its jobs, he knows almost everyone in the Central Coast pest-control community, a group he estimates at around 300 people. According to Colorado, the local pest-control community can be pretty cutthroat, but it’s also self-policing. Companies take a great amount of pride in their pest treatments, and sloppy or underhanded operators don’t last long. In a long conversation with New Times in their Santa Margarita home, Colorado and Patty, with their two young children scampering around, had no shortage of crazy pest-control stories: jobs gone awry, impossible clients, and tales of the creepiest of creepy crawlers. Asked what they spent the most time on, though, the couple didn’t hesitate. “Paperwork,” they said, in unison. 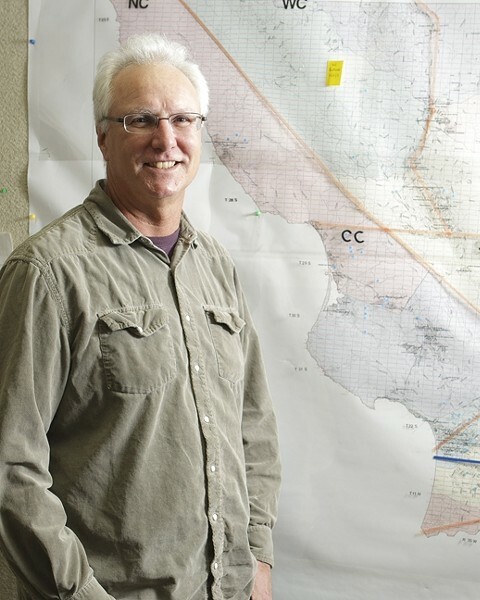 EDUCATE AND REGULATE: Robert Stockel, an agricultural inspector/biologist III with the San Luis Obispo County Department of Agriculture, said that California’s pest control regulation apparatus is the nation’s strictest, fostering high compliance but copious paperwork. Robert Stockel, an agricultural inspector/biologist III with the San Luis Obispo County Department of Agriculture, knows he’s not a guy people like to see. Stockel—a smiling, exceptionally calm man with a head full of white hair—has worked for the county ag department for more than 20 years. He’s a senior member on a team of 10 pest-control inspectors (seven agricultural, three structural) who scour SLO County to ensure compliance with pesticide law. Flipping through hundreds of pages of state codes and forms, Stockel explained that California’s pesticide regulatory requirements—in terms of licensure, education, certifications, and inspections—are the most stringent among all U.S. states. Certain states, he said, have only one or two regulators for the entire state, and some states rely completely on the U.S. Environmental Protection Agency for regulatory muscle. Largely because of that large state apparatus—Stockel estimates that there are between 300 and 400 pesticide inspectors statewide—pest-control workers like Colorado have to spend a substantial amount of time on paperwork. When New Times asked about dotting the i’s and crossing the t’s, Colorado and Patty spent 15 minutes detailing the dizzying array of licenses, forms, reports, background checks, certifications, tests, classes, and inspections they must submit to in order to simply keep their doors open. This is far from the carefree, willy-nilly industry depicted in Hollywood interpretations like Arachnophobia or Bad News Bears, but Colorado and Patty both say they spend the majority of their time attending to mundane paperwork. That’s just the nature of the pest-control business in California. Though Colorado said the state regulators—namely, the Structural Pest-control Board (SPCB), the Department of Pesticide Regulation (DPR), and the local ag department—can be onerous from time to time, he appreciates that they organize and codify the industry, in addition to weeding out bad seeds. Data from the DPR show that structural pest-control operators (all non-agricultural pesticide users) are a very compliant group. In 2011, the most recent year for which data is available, 94.2 percent of the 1,995 inspections of fumigations conducted statewide yielded 100-percent compliance with state regulations. Taking into account all 4,542 structural pest-control inspections conducted statewide in 2011, 89.2 percent were completely compliant. Rodriguez says that his company, Coastal Fumigation, was inspected about 20 times in 2013, and passed each inspection. He said the inspections can be a pain and also slow down the process, but he understands why they’re in place. POISON PRO: Robert, a Coastal Fumigation worker, managed and monitored the flow of sulfuryl fluoride (or Vikane, a fumigant insecticide gas) into the Blue Sail Inn. 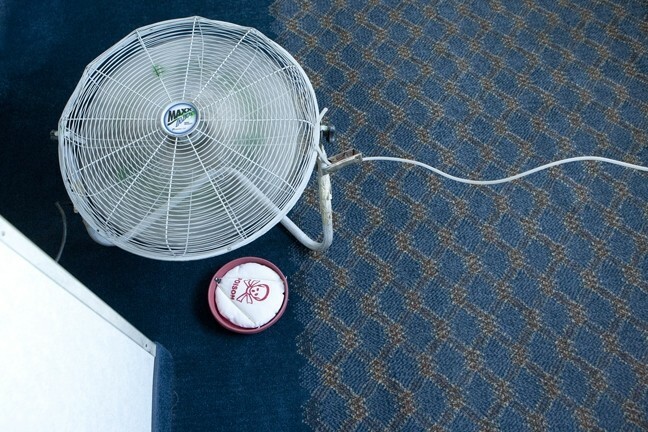 The gas is heavier than air, so the fans ensure proper circulation. Talk with any pest-control professional for a while, and you’re guaranteed to hear a lot of unfamiliar words. The world of pest-control is filled with a staggering amount of jargon-rich chemistry, biology, physics, and mathematics. For fumigators, the two most important phrases are sulfuryl fluoride and chloropicrin. The first, often sold under the Vikane brand name, is a colorless, odorless gas used as a fumigant insecticide to control termite infestations. The second is a highly odorous and toxic liquid used as a warning agent to ensure every living thing, save the pests, is out of the building. At the Blue Sail Inn fumigation in Morro Bay, Robert, one of the Coastal Fumigation workers, talked about a nasty experience he called “getting pic’ed.” Essentially, it’s what happens when someone accidentally catches a big whiff of chloropicrin. No one, understandably, really wants to get pic’ed, but it’s still something of a badge of honor in the pest-control industry. As soon as Robert brings it up, everyone starts sharing their personal experiences with getting pic’ed. Also a badge of honor for the workers are calluses—on the tops of their hands. These come from many, many hours of rolling up tarps and closing seams. Rodriguez proudly asks his workers to show off their calluses, and bemoans the fact that his own aren’t as gnarly as they used to be. “I guess I’m getting soft,” he says, shaking his head. Rodriguez is a proud Puerto Rican, originally from Brooklyn, who’s been working in the industry for almost as long as Colorado. Though he may not be climbing ladders and clomping around on roofs anymore, he’s put in his time doing the hard work, and is very much in charge. He’s also well versed in the terminology of the pest-control industry. Between bouts of directing his workers, Rodriguez takes breaks to explain the chemical properties of pesticides, discussing biological features of termites, and punching numbers into the fumigation calculator that will tell him how much gas to pump. As they watch the gray-and-blue-striped tarp unfurl over the inn building, Rodriguez and Colorado explain that structural pest-control operations fall into three categories, or branches, in California. Branch One is just for fumigations, and deals primarily with termites. Branch Two deals with more general pest-control (spiders, ants, and rodents). Branch Three relates specifically to wood-destroying pests or organisms, and controlling them with all methods except fumigation. Many companies deal with multiple branches. Coastal Fumigation is just a Branch One company, but SLO Pest and Termite does both Branch Two and Three work, while contracting out to companies like Coastal Fumigation for Branch One work. There’s money to be made in all three branches, and each has its pros and cons. Branch One gets this biggest jobs, but it’s exhausting and the stakes are high. Branch Two has high profit margins and less toxic pesticides, but the jobs are small. Branch Three is probably the most lucrative, but there are a lot of paperwork and fees, and it’s easy to get sued. All said, there’s no such thing as a free lunch in the pest-control industry, which rewards thorough work and a disregard for danger. The absurdity that this large, complicated human industry rests entirely on the existence of a handful of tiny insects and rodents isn’t lost on pest-control professionals. Colorado cites the example of the brown recluse spider, a source of great fear and a number of pest-control calls. While the spider could possibly exist on the Central Coast, he said it would be difficult for the spider to thrive, and it certainly doesn’t merit the paranoia or expense it often incurs. All of the pest-control professionals who spoke with New Times said that pop-culture depictions of pest-control were wildly inaccurate, and also said TV and movies have had the cumulative effect of making rodents and insects absolutely terrifying for the general public. Ultimately, the chief distinction is between pests that annoy or bother, and pests than genuinely harm. There are plenty of both, and Colorado is quick to point out that pest-control does a lot of genuine good in addition to soothing fears. “You name it, I’ve seen fleas, cockroaches, ants, and termites to the point where they’re destructive,” Colorado says. In one local apartment complex, Colorado said he was inspecting a smoke detector, only to have 30 cockroaches come running out when he lifted the cover. “Even for me, that gave me a strong case of the heebie jeebies,” he said, shuddering. Patty remembers a time when Colorado came home from a job without pants; the fleas infesting the building (and, subsequently, him) were so bad that he had to drop trou while he was driving home. There’s no disputing the fact that pest-control is a dirty job. Colorado has the stomach to handle all of the pests, but Patty said she’s perfectly content with handling the company’s accounts payable, marketing, and business aspects. Colorado said he uses all types of pesticides in his Branch Two and Branch Three work, ranging from the over-the-counter stuff you’d find at Home Depot to more specialized, controlled poisons. For example, you can knock out wasps with dish soap (it makes their wings sticky and they drop right on the ground). Ants will never cross a line of Vaseline petroleum jelly. And gophers can apparently be dispatched with chewing gum. Colorado and Patty say ants are their most frequent pest, termites are their most lucrative pest, and spiders and earwigs are also common targets. As Colorado and Rodriguez watch the Coastal Fumigation workers apply the finishing touches to the Blue Sail Inn job, the conversation takes a philosophical turn. Though they’re only in their 40s, that makes them practically elder statesmen in the pest-control business. They both remember days of “turning and burning” in their 20s, when they would show up to job sites with sunglasses instead of protective glasses, do many more jobs, and take more risks, but both men say those days are behind them now. For one thing, both men have families, and they’re also more cognizant of the hazards of their profession these days. Colorado even bought a far-infrared sauna, a portable unit placed out on his back deck that allows him to sweat out some toxins. “I’ll veg out there for 30 minutes or so, and it makes me feel better,” he said with a shrug. Rodriguez used to be the guy who was hoisting the 230-pound gas canister or balancing on the ladder to clip the tarp seams closed, but now he’s content to delegate those responsibilities to his younger workers. 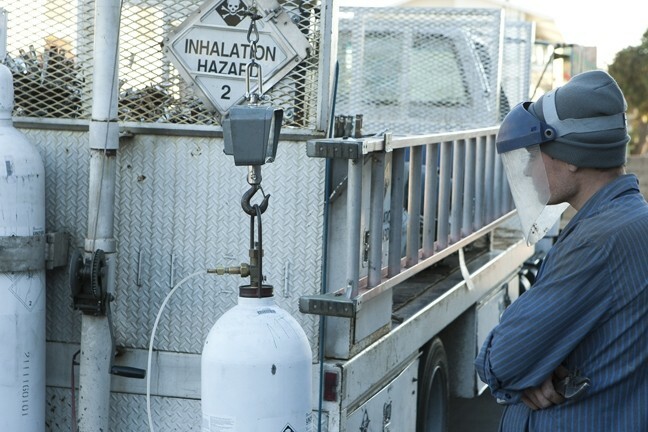 For this fumigation, Robert does the honors by releasing the Vikane gas. The gas boils at minus 67.7 degrees Fahrenheit, so it moves like a jet stream when it’s released through the plastic tubes into the building, causing the tubes to rattle and jump around. In the building, nine strategically placed industrial fans are blowing the Vikane and chloropicrin fumes into all the nooks and crannies. After the gas does its work, the building will need to be ventilated with fresh air. Eventually, the workers will roll up the tarps when the building is safe again. Standing in the parking lot, Colorado finally decides to explain how he came by his nickname. As it happens, he was working a contracting job when he was in his 20s, and one of his co-workers was named Stacey. At that point, his suggestion was thoroughly undermined, and his co-workers found the irony too rich to pass up on. From that point forward, “Colorado” was stitched into his work uniforms, and he eventually took to the nickname. Under the tarp, there’s nothing to be done while the gas is still working. Lugging their supplies, the tired workers drink celebratory Pepsis and pile into their trucks, homeward bound.